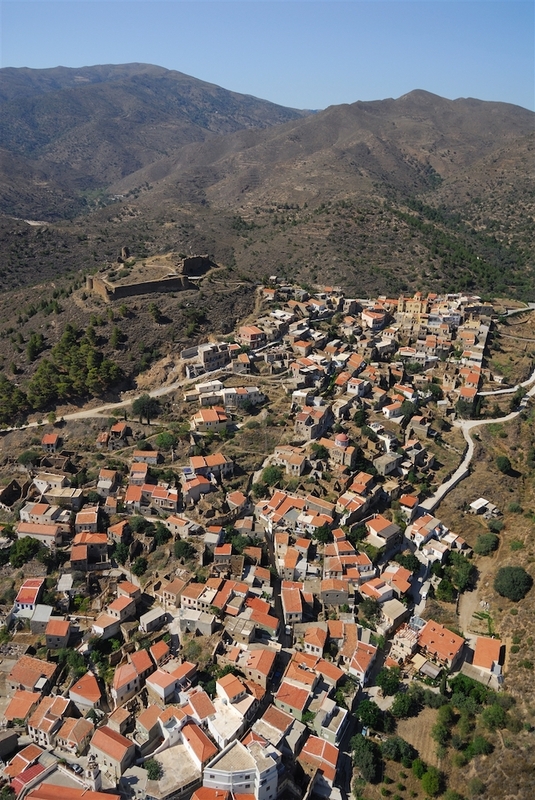 Volissos is located 40 km from the city of Chios and is the capital of the Municipality of Amani. 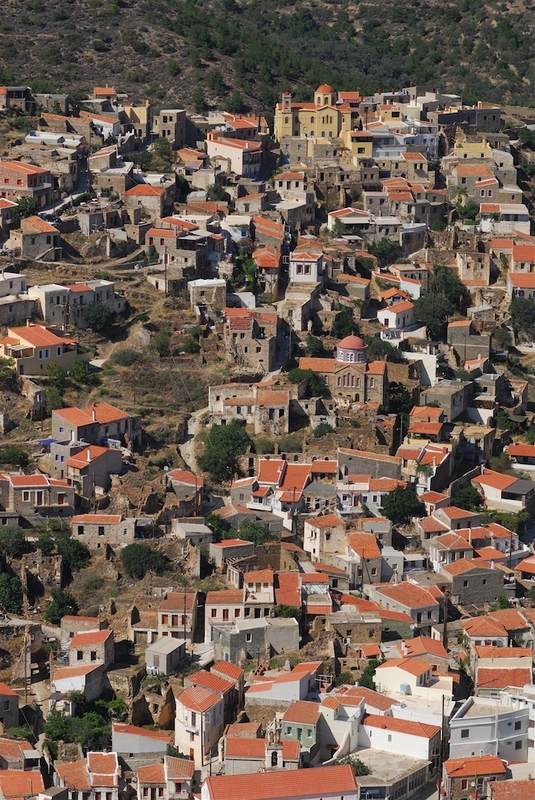 It is the largest village in the northwestern Chios with 500 residents. 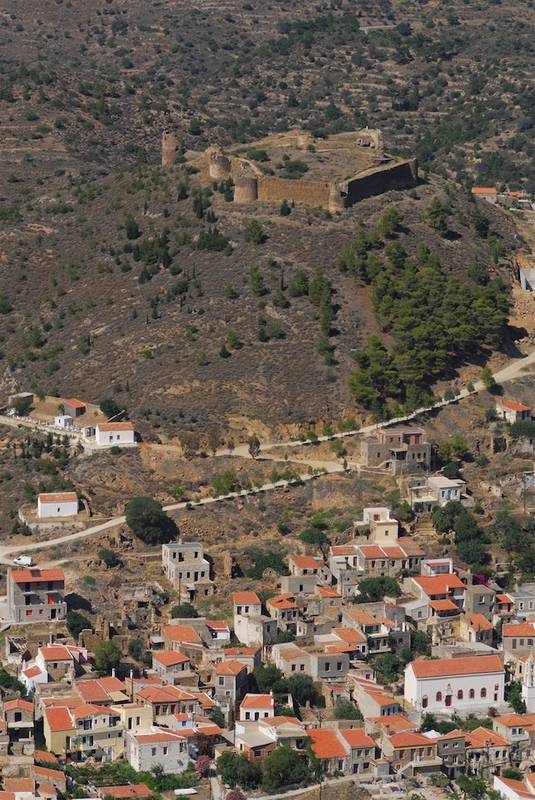 According to tradition, Volissos said to be the hometown of Homer, and some researchers say that there was written the parody of EliadaVatrachomiomachia. 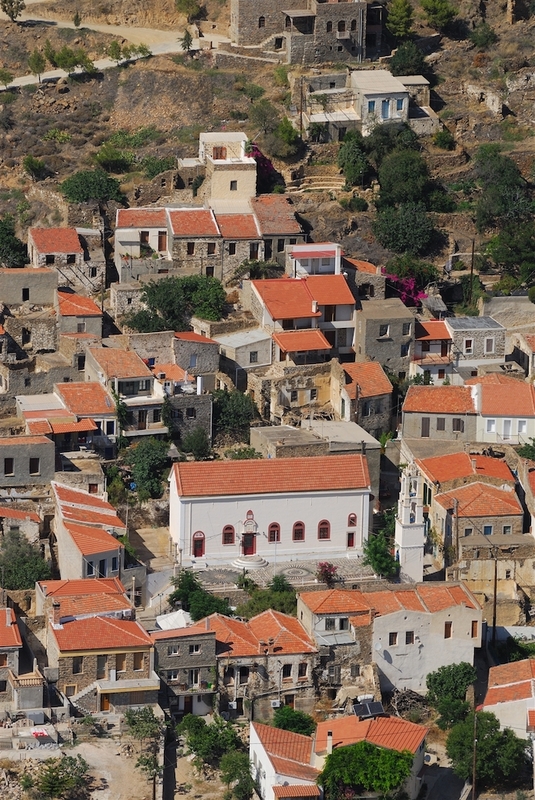 Volissos has many tourists and there you can find many facilities such as restaurants, cafes, a traditional bakery, mini-market, ATM, hairdresser, post office, pharmacy, clinic and police station. 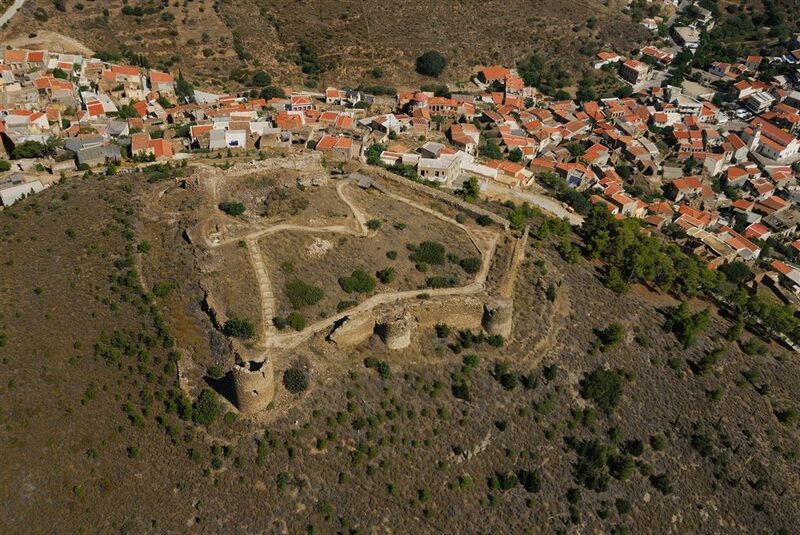 It is worth visiting the castle of the village and a small museum which is in the square of the village. Kourounia is situated 59km far away from Chios Town and 18km far from Volissos, it is divided into four settlements, called mahalades. 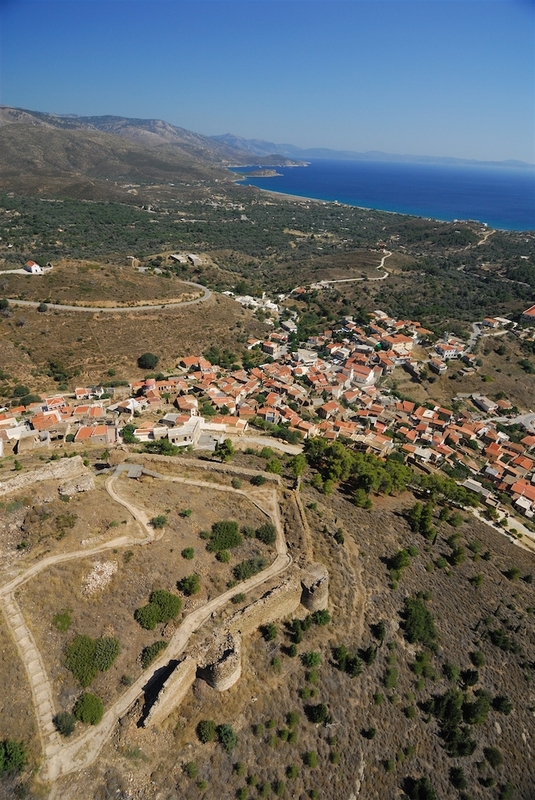 Thanks to the efforts of the local authorities made lately, this village is now renowned for a special type of wine produced here, the kourouniotiko, realized to recuperate the antique art of cultivating and producing the Ariousios, a variety of wine of the ancient times. Interesting is the fact that the clinic community uses a system of teleconference medical care, which also assists people of the surrounding villages. 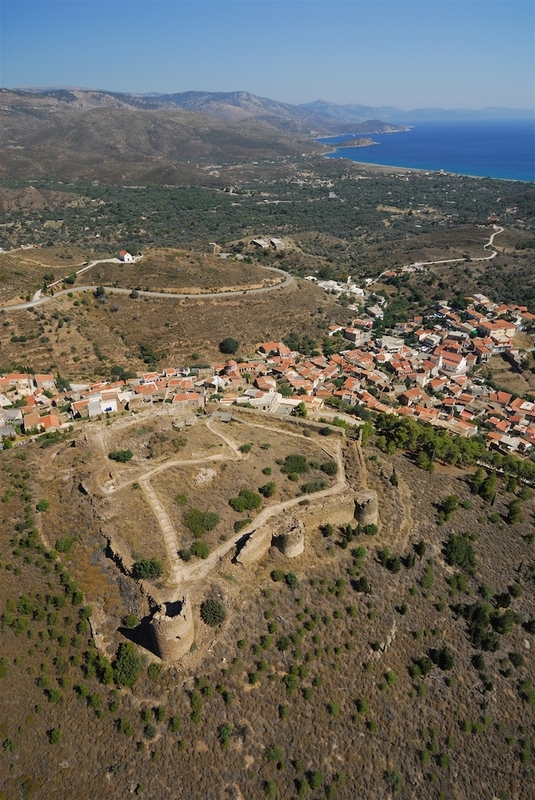 Worthwhile seeing are the remnants of an old polygonal fortress and an inscription of Hercules at Erinos area, the place where the old village was built, and the Ecclesiastical Museum in the old school building containing ancient icons and an exhibition of paintings made by the famous painter Panaghiotakis. The local folklore festival takes place on September 26th.